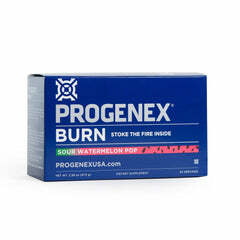 If you were to ask a random person at the gym what is the most important dietary supplement for improved fitness training, what would they say? If they’re anything like most workout enthusiasts, chances are the answer is going to be protein. 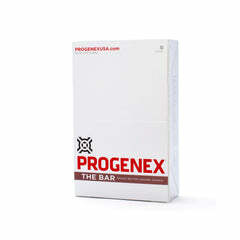 Protein is the most commonly and widely used nutritional supplement among gym goers. In fact, it is estimated that over $10 billion worth of protein supplements will be ingested in 2017. 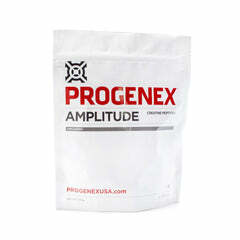 Among those supplements, protein powder, generally used in the form of shakes, may be the most common. However, thanks to the USDA’s published recommendations for daily protein consumption, many otherwise nutrition- and exercise-minded individuals are failing to provide their bodies with the high levels of protein they need for optimal results, and their bodys are suffering for it. Active bodies need more protein. The USDA recommendations suggest that the estimated average requirement (ERA) for protein is 0.66 grams for every two pounds of weight. They also report that the recommended daily allowance (RDA) — the amount needed to maintain the health of 97–98% of individuals in groups according to age and gender — of protein for adults is 0.8 grams for every two pounds of body weight. 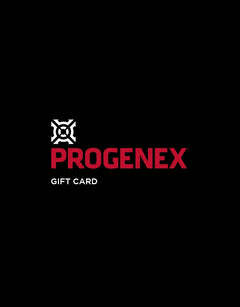 As an average, the USDA suggests that women ingest 46 grams of protein every day, while men ingest 56 grams every day. Unfortunately, when it comes to workout-enthusiasts, the USDA is wrong. Well, not wrong, exactly, just not quite addressing the whole issue. The data compiled by the USDA is a blanket figure meant to apply to the largest number of people. Now, ask yourself, what percentage of people living in the United States engage in regular, strenuous workouts? Only about 20% of Americans get the recommended amount of daily exercise, and of that 20% you can bet that the percentage of people who could be termed “workout enthusiasts” is quite a bit smaller. The truth is the more active you are, the more protein your body needs. The USDA daily protein intake recommendations are skewed toward sedentary and low-activity people. Those who are focused on optimizing their bodies through regular, strenuous exercise, on the other hand, well, they need a bit more. Damaged muscles rely on the right resources. Most of our readers are already well aware that the body builds muscle in response to damaged tissue. Workout 101, right? The process of exercising puts strain on muscle tissue; muscle fibers become damaged, and the body reallocates resources towards healing the “injury.” To do this, the body uses available protein, in the form of amino acids, to fuse broken muscle fibers back together through protein synthesis, and because the body wants to make sure that the muscles can stand up to similar punishment, it overcompensates, resulting in larger, stronger muscles than the ones that were damaged. Simple, right? Nothing mindblowing. Exercise damages muscles, the body repairs the muscles, and the new muscles are stronger than the originals. This is the core of the entire workout philosophy, but it’s only possible thanks to protein. Without the right amounts of protein, the muscles cannot effectively repair themselves. Damaged muscles will take longer to recover, and may even begin to degrade. At the same time, energy levels drop off, concentration and focus decrease, the immune system becomes less effective, and the body may even have trouble absorbing other important nutrients, such as calcium, iron, niacin, and zinc. There’s no doubt that if you exercise heavily, you need heavier amounts of protein, and chances are you aren’t going to be able to get it through your diet alone. Athletes need to make up the difference. The American diet is actually pretty well covered for protein. In fact, the average person may be getting more than they need, thanks to abundant animal sources such as eggs, meat, poultry, and fish. But you’re not the average American, are you? You’re an athlete, and if your body isn’t getting the massive amounts of protein it needs to keep up with your workout regimen, then you could end up falling prey to the side-effects of low-protein intake we mentioned above. Exercise. Break down muscles. Ingest protein. Recover. Repeat. The workout enthusiast understand the process, and knows that it takes time for even the most intense workouts to start showing noticeable results. Unless you like the idea of eating your own weight in grilled chicken every day, relying on dietary protein means slow recovery and diminished gains. However, with the right protein supplementation, you can cut down on recovery time, and give your body the resources it needs to rebuild faster, stronger, bigger, and better prepared to face the impact of the next workout. The answer is a protein shake before or after workout sessions. A post-workout shake can give your muscles the boost they need. With increased intake of protein before or after a workout, your body has the nutrients and building blocks it needs to recover quicker. An after-workout shake (or pre-workout shake, if you’d prefer) puts those vital proteins into your system, where they’ll be available for your body to use in recovering damaged muscle tissue. When you use an effective, protein-centric, post-workout drink, the shorter, simpler proteins used in the shake are quickly broken down by your stomach enzymes into amino acids. These acids are absorbed directly into your intestines, transferring to your bloodstream, where they are redirected towards the muscles that are preparing to undergo the repair process. The best post-workout shake options rely on high-quality, hydrolyzed whey protein, which the body can metabolize more quickly, and much more easily. Faster digestion means not having to wait for available protein to be slowly extracted from conventional dietary sources. Instead, you can cut recovery time down to a minimum, and focus more of your time on breaking down and building up the muscles that keep you in business. Of course, not every protein shake is created equal. The best post-workout drink solutions stand out, and knowing what to look for can mean the difference between giving your body a secret weapon, or hoping that the placebo effect is enough to trick your muscles into cooperating. The best post-workout shakes have a few things in common. The first thing to consider when choosing a post-workout shake is, naturally, the amount of protein it contains. And while this is a fairly obvious statement, some products that market themselves as protein shakes should be putting more emphasis on the shake, and less on the protein. 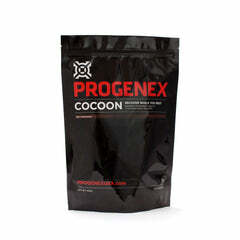 Effective post-workout shakes are absolutely loaded with protein, anywhere from 25–70 grams per serving. Hey, if you want to be capable of almost back-to-back workouts, you’ll need a heaping helping of available protein. Shakes that contain only a dozen or so grams are fine for people who want to feel like they are making a difference, just not for those who actually are. And just as your post-workout shake should contain a high amount of protein, there’s no reason why it should likewise be too high in fat, carbs, or otherwise superfluous ingredients. Don’t get us wrong; fats and carbs are also necessary for your body to be able to recover to its full potential, but you don’t need to drown in them. Shakes that contain about 8–10 grams of carbs, and around 20 grams of total fat are in the sweet spot. And, as we mentioned above, make sure that your protein shake solution uses hydrolyzed whey protein isolate for the fastest possible absorption and recovery. Otherwise, you might as well be drinking a chocolate milkshake. 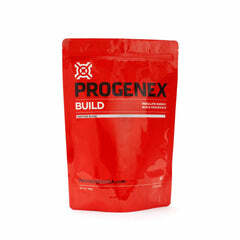 Give your body the right building blocks. The USDA may have a good idea of how much protein the average, low-exercise adult needs in their diet, but when it comes to athletes, they’re way off the mark. If you’re engaging in regular, intense workouts, your muscles need a whole lot more. Thankfully, with the right pre- or post-workout shake, you can ensure that your body has the building blocks to bounce back from whatever you throw at it, and continue to push the limit again and again. 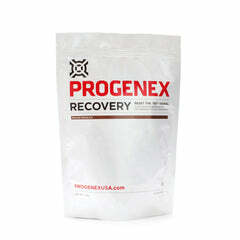 Give Progenex Recovery a try, and see for yourself just what the right protein, in the right amounts, can do for you.